Mini Travel Guide to Yosemite! In 1864, President Abraham Lincoln signed the Yosemite Grant, decreeing Yosemite National Park the first government protected park in the United States. Thanks to the work of John Muir, the famous influential naturalist, and advocate of United States’ natural environments, Yosemite National Park includes all of the glorious rivers, forests, and natural wonders that visitors of the park can experience today. 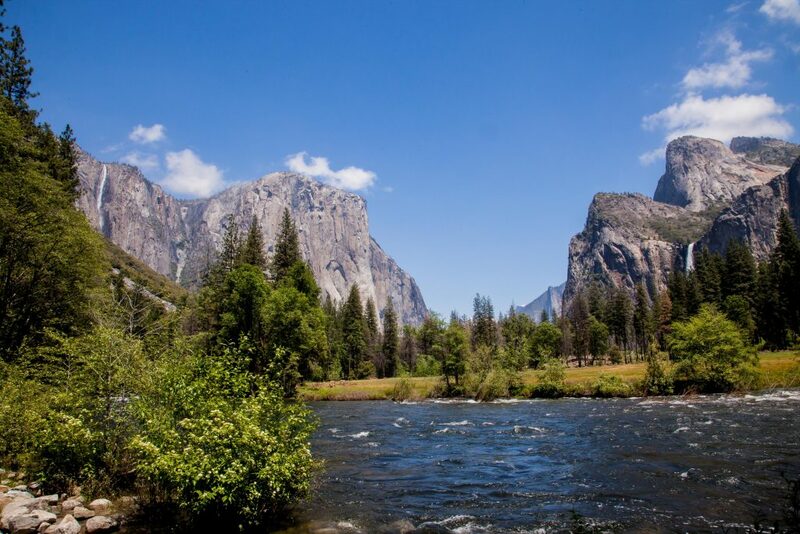 In fact, over 4 million people visited Yosemite National Park last year! While at Yosemite National Park, there is plenty of hiking to go around – and there are hikes and trails for visitors of all levels. There is so much to do in Yosemite National Park – don’t feel intimidated. Take it in moments, take photos, and enjoy this natural wonder that you have the privilege to visit. Read on for a mini-guide to some of Yosemite’s greatest attractions. Just off highway 120, about 20 miles outside Groveland, CA and a very short drive from the Thousand Trails’ Yosemite Lakes Campground is the popular Rainbow Pools. This swimming hole features a number of cliff jumping opportunities and a 20-foot waterfall that swimmers can also jump from. To reach the entrance, just before you go over the bridge on the south fork of the Tuolumne River, follow the turnout signs for Rainbow Pools towards the trailhead and day use area. This is a great stop in Yosemite if you’re looking to take a quick swim to get your feet wet for visiting other areas of Yosemite. Head out to Yosemite Valley Loop Trail as soon as you can. Why? This is the best “bang for your buck” experience. You can reach the trailhead by driving east from Yosemite Lakes RV Campground on Highway 120. The Yosemite Valley Loop Trail is a mostly flat trail, taking travelers along the Merced River, winding through Yosemite National Park. Start at the Lower Yosemite Fall Trailhead. The full loop is 11.5 miles, and a half loop is about 7.2 miles. Either way, you’ll get picture-worthy views of Sentinel Rock, Cathedral Rocks, Bridalveil Fall, El Capitan, Three Brothers, and Yosemite Falls. 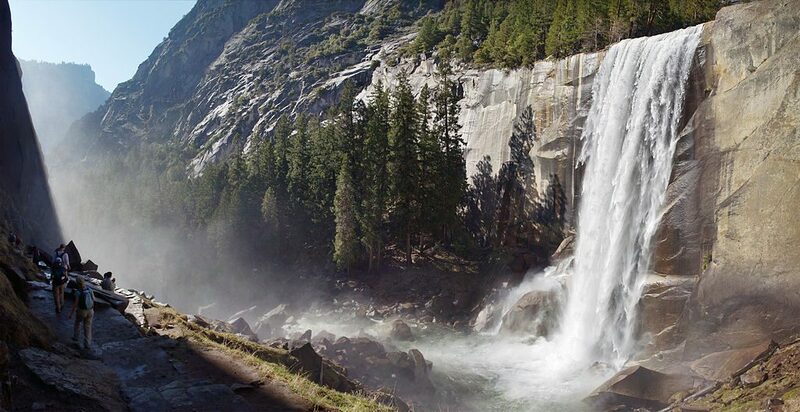 Vernal Falls stands at just 317 ft. tall but is one of the most powerful waterfalls in Yosemite! Experience its power and let the mist of the waterfall fall refreshingly on your face. While you can see much of Yosemite National Park from the comfort of your car, you cannot experience Vernal Falls unless you hike a little bit. The easiest way is to take the well-marked path that begins near the Happy Isles Nature Center. It’s about a one-mile walk to the Vernal Falls footbridge from the trailhead. Another way to experience Vernal Falls is via the Panorama Trail Hike. Please take caution – Vernal Falls is a VERY powerful waterfall. You do not want to enter the water of Vernal Falls under any circumstances. 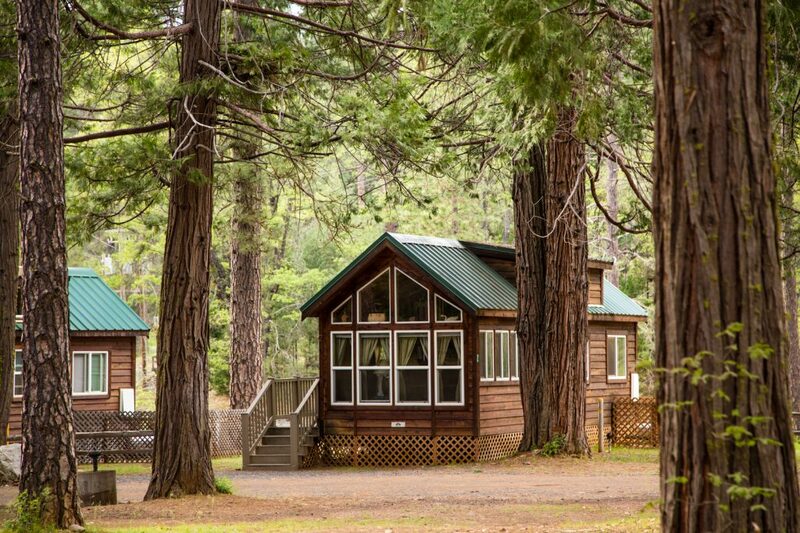 And to make your stay even more comfortable, book a Petite Retreat at the Yosemite Lakes Campground! 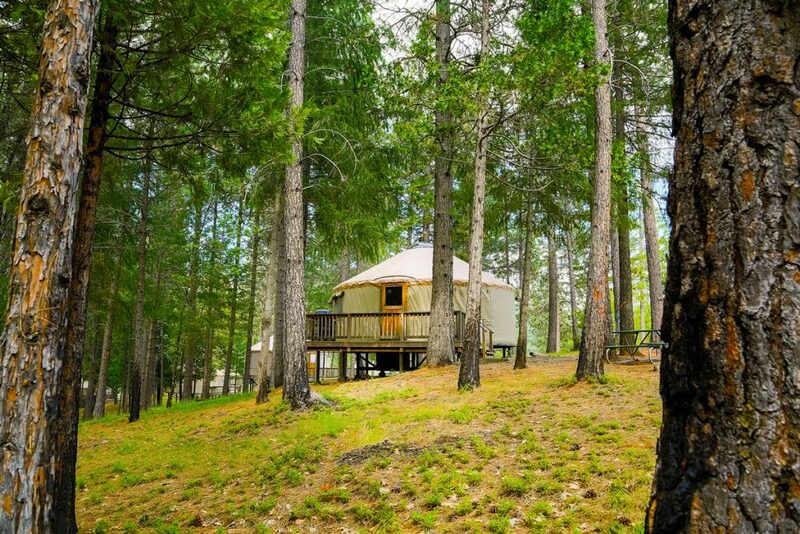 Whether you want to experience a yurt or cozy up in a rustic cabin, there are plenty of ways to have a unique vacation when you stay at Yosemite Lakes RV Campground. 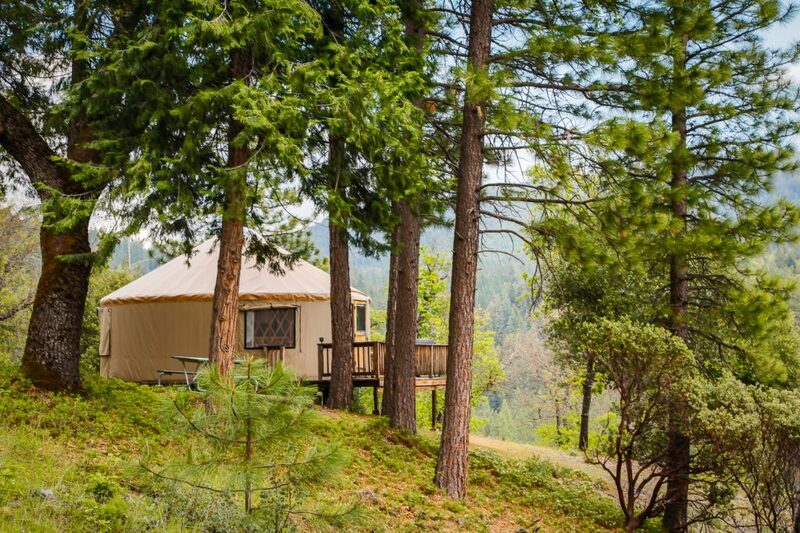 Book your stay at a unique accommodation at Yosemite RV Campground today and guarantee yourself a home base for exploring Yosemite National Park!